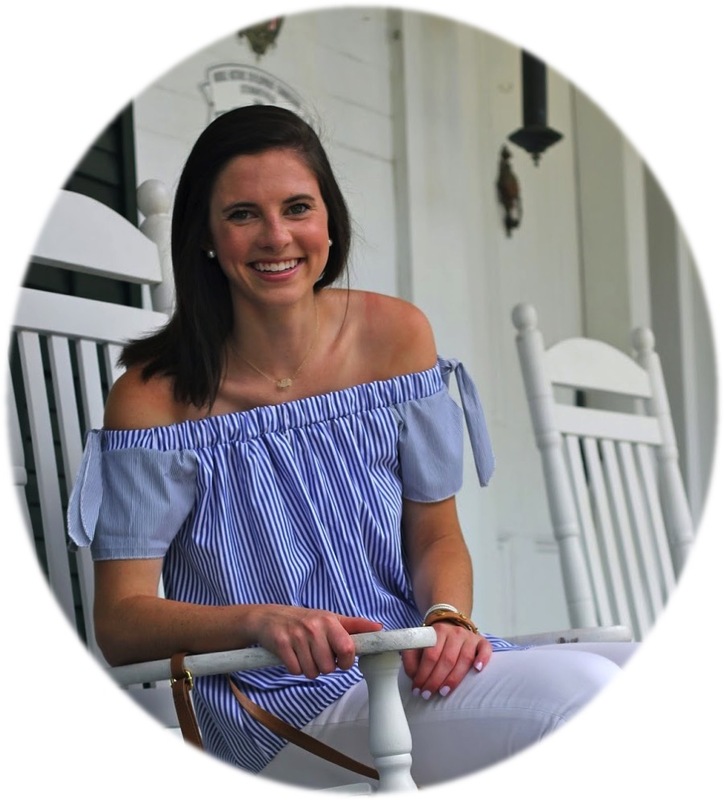 Prep In Your Step: Monogrammed Swimsuit and a Giveaway! As you are reading this I am probably already on my way to our condo for my brothers graduation weekend. I am very excited about this but am also semi apprehensive because I have so much studying to do to prepare for my exams next week and I know I won't want to do it with all of my family around. But that is besides the point of what I wanted to tell y'all about today. Earlier this spring I ordered two plain bandeau bathing suits from Lands End Canvas and I just got them back from the monogram shop and couldn't be any more pleased! I ordered this one and a black one and they are only $7.97 a piece! I got these TWO monogrammed swimsuits and matching bottoms for cheaper than one monogrammed top from Marley Lilly. I am very excited about how cut these will look pool, bay, and river side! And don't forget about my monogrammed necklace giveaway!! I absolutely love those! I think I'll have to try it myself... I'm gonna go pick up a swimsuit top or two today to get monogrammed :) Thanks for the great tip! So so cute! WANT to try this out myself! I looked online at Lands End today & they didn't have those tops. I like those a lot better than a few of the J.Crew ones I've bought! Love this idea! So cute and clever. Do you know of any other sights to find swim tops like this in different colors i have been looking everywhere and cannot find them!